Our best references for more than 35 years have been the service and direct treatment with our clients. From the best raw materials to the last detail, we manufacture our upholstered furniture.Working with high decoration upholstery. 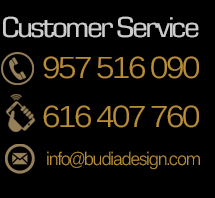 We offer our customers a unique experience in luxury and unique, since each work incorporates wisdom and personality typical of a craftsman-restorer. That combined art, excellence in knowledge upholstery with a high quality finishes, and your design, so you can create unique works of art in upholstered furniture. All craft work step by step, piece by piece and manual mode, the only guarantee of quality in their work and therefore can be entered customizations throughout the same is done. The passion for art Capitoné part of our organization. It is a product hand crafted by our master craftsmen with long experience, taking care of the smallest detail.